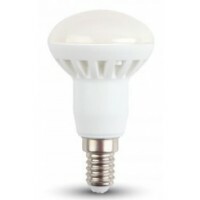 This is a high quality premium LED R80 (80mm diameter) Edison Screw / ES / E27 Low Energy Saving 10W (75W) warm white / 830 / 3000K reflector Spotlight light bulb / lamp made by V-TAC. Uses 5 times less electricity than a conventional light bulb. 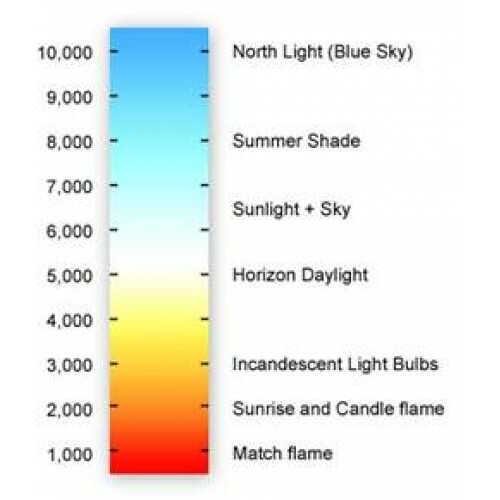 LED Bulbs are the best replacement for conventional Incandescent or Fluorescent Bulbs and are IP20 rated. NB: LED R80 reflector light bulbs are not suitable for dimming switches or enclosed fittings as this can cause overheating and early failure. 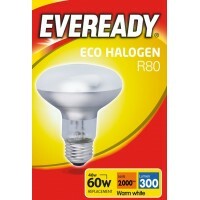 R80 - 46W = 60W Eco Halogen Reflector Light Bulb This is an R80 46W (60 watt equivalent) Edison ..
6W (40W) R50 LED Reflector Small Edison Screw in Warm White Home LED Light Bulbs..
6W (40W) R50 LED Reflector Small Edison Screw in Daylight White Home LED Light..
10W (75W Equiv) R80 LED Edison Screw Reflector Light Bulb in Daylight White 6400K Home ..
10W (75W Equiv) R80 LED Edison Screw Reflector Light Bulb in Cool White (4000K) Home ..
6W (40W) R50 LED Reflector Small Edison Screw in Cool White / 4000K Home LED Lig..
6.2W (40W) R50 LED Small Edison Screw Reflector Light Bulb in Warm White Home LE..
7.8W (50W) R63 LED Reflector Edison Screw in Warm White Home LED Light Bulbs ..